The Konica Minolta MagiColor 2530dl is Konica Minolta's answer to low print cost needs without sacrificing production quality for offices and businesses that are also looking for affordable color printers. Konica Minolta MagiColor 2530dl also packs modest speeds for printing both color and monochrome prints, ideal for small workgroups that do not require high-volume production, but rather superb quality images, text and graphics for their office needs. The MagiColor 2530dl's premium offering for printer users is its top quality resolution, with a maximum of 2400 dots per inch for both monochrome and color prints of text, graphics and images. Such a resolution for a color printer allows for crisp, deftly detailed prints that few others in the market can match. Printing speed for the MagiColor 2530dl is relatively competitive at 20 pages per minute (ppm) for monochrome and 5 ppm for color print outs. Its memory is also no pushover for a color printer, with a maximum memory capacity of 576MB that allows for increased productivity for the MagiColor 2530dl. Paper capacity is set at a maximum of 700 sheets, ensuring that the MagiColor 2530dl can handle up to midlevel volume production, which is quite ideal for offices and businesses that occasionally have such production demands. 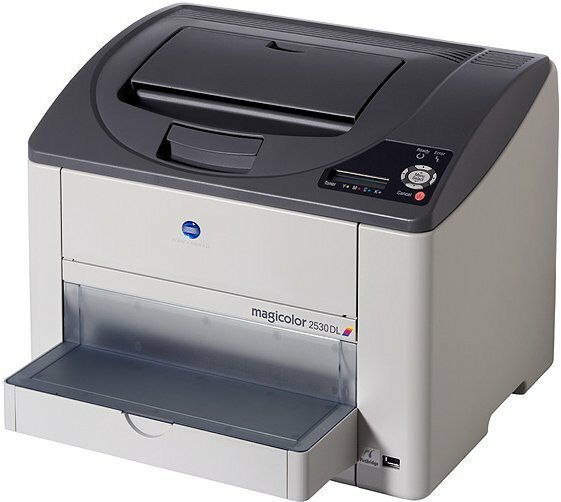 The MagiColor 2530dl is also a network ready color printer, equipped with an Ethernet and high-speed USB 2.0 interfaces. Operating system support for the MagiColor 2530dl allows various platforms such as Mac, Windows and even Linux for a more versatile approach in handling diversely different systems. The MagiColor 2530dl also has enabled support for multi-platform workgroups, so if your office or business happens to run varied platform distributions, the MagiColor 2530dl will not have a problem connecting to each of them and allow seamless printing. With its superb printing quality, the MagiColor 2530dl prides itself for still being affordable, and being able to deliver low cost prints for its users. Usability for the MagiColor 2530dl is quite commendable, with it shipping pre-installed supplies and having auto-run installation function that would surely make a novice printer user feel at ease and comfortable. Other features that should entice home users include direct photo printing from digital cameras or any USB-enabled image capturing device, utilizing a handy USB 1.1 host port. Users are then able to print photos directly from 4" x 6" to 8" x 11" image dimensions. Another nifty addition to the MagiColor 2530dl is the Status Monitor that allows its users fast and easy access to printer status, print details and consumable levels. For paper sheet support, the MagiColor 2530dl is compatible printing to various media types such as plain paper, thick stocks, glossy stocks, envelopes, transparencies, labels and more. For a compact color printer, the MagiColor 2530dl is quite versatile in both paper handling and print quality production. Even though the MagiColor 2530dl might sound as a perfect addition for small workplaces for its compact design and top notch image quality prints, there are some aspects of its specification that might need some improvement. 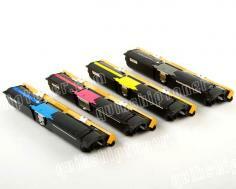 Its speed for producing color prints is quite low compared to other printers in the market. Now, while the MagiColor 2530dl understandably loses its speed by focusing more on the print quality, but a compromise between the two printing aspects might be worth more for its value. 5 pages per minute for color prints is quite slow for a color printer, as other color printers by other brands register at faster speeds while still keeping an excellent quality for image resolution. Review it: "Konica Minolta MagiColor 2530dl "
The MagiColor 2530dl uses special toner, the Simitri Polymerized Toner that allows it to produce such fine, detailed and vivid prints for text image and graphics in a wide variety of available media types. The MagiColor 2530dl is also capable of printing up to 35,000 pages per month, which is quite high for a printer that specializes on image quality. 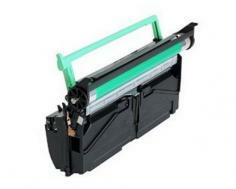 Standard ink toner cartridge is capable of producing 1,500 pages, while the high yield variety can provide as much as 4,500 pages on 5% coverage.